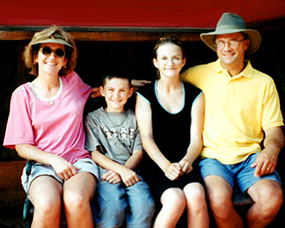 Cheryl R. Russell lives with her family in Marysville, MI. She has two children, Lindsey & Austin, and one beautiful granddaughter Molly! She has set an example for moms and dads everywhere by creating a simple, easy and effective method for teaching budgeting to children. In partnership with Faithful with Finances, she has developed a guide to help you implement these practices with your children at home. Our greatest calling as parents is to teach and train our children in the ways of the Lord, and Cheryl is here to help you accomplish this, and have fun doing it! 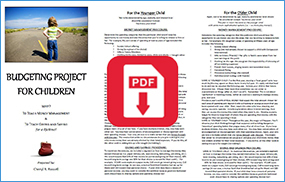 In the attached PDF Document – Budgeting Project For Children – you will receive an easy to follow money management and budgeting set of guidelines for use with younger and older children. The exercise is to encourage a lifetime fo financial stewardship through early adoption of tithing habits.